Why Use Indexable Cutting Tools? Large endmills can remove a lot of material, but they’re also very expensive. It didn’t take the machining world long to decide they’re too expensive and to come up with indexable cutting tools as the answer. 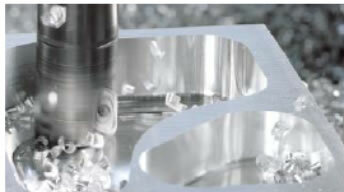 With indexable tooling, the cutting edges are removable carbide inserts. Most of the tool lives on when the cutter dulls, and only the inserts need to be replaced. Even then, most inserts have multiple cutting edges that can be “indexed” into place to provide a fresh edge. Hence the name Indexable Cutting Tools. 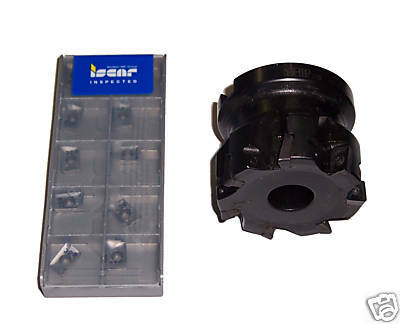 The companion to indexable endmills are called “face mills” because they’re used for “facing.” Facing is surfacing a large flat area, typically the top of the part. If you’re going to be purchasing a face mill, it’s worth looking at our article that compares the insert angles to see which is best for your application. Face mills can be sensitive to how they enter a cut, especially with tough materials that can chip the inserts. 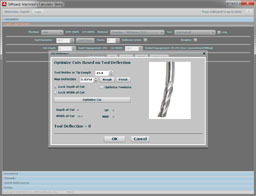 Be sure to check out the tips in our toolpath article on how to optimize your face mill programming. Indexable end mills are used in lieu of solid end mills. For efficient roughing, it’s convenient to have an indexable endmill that are at least 5/8’s to 3/4 inches in diameter. That’s the size where buying solid endmills starts to be expensive, but it is small enough that what’s left for smaller solid endmills to clear is little enough that they can do that job quickly. So, you rough with the indexable and finish with the solid endmill. Depending on the jobs you have, larger indexable endmills may make sense too. It’s basically a tradeoff between your machine’s capabilities, how tight the confines of your workpiece are, and the cost to keep a bunch of indexable tooling and an inventory of suitable carbide inserts for them. Their large radius creates a great surface finish. Their round shape makes them very strong, so they’re well suited to materials that are hard on cutters. The round shape creates forces that are more axial than radial. For light machines, this is their stiffest direction for resisting cutting forces. Indexable Cutting Tools will help you save money over running solid end mills all the time. They have many other advantages too. But all indexable cutting tools are not created equal when it comes to saving money. 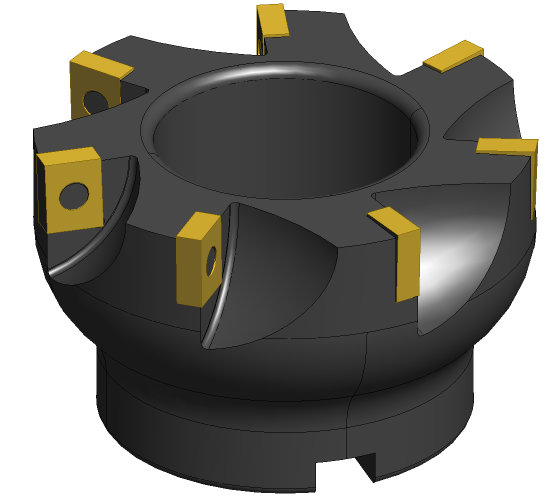 One thing that’s important to keep in mind is whether the indexable milling cutter uses a standard insert shape available from many manufacturers, or a proprietary shape you can only get from one manufacturer. The latter may be capable of higher performance that may justify its price, but you can be certain its price will also be higher. Managing indexable inserts is another cost saving opportunity. The more insert types you have to stock, the more expensive the inventory. Look for opportunities to standardize on multiple cutter types that all use the same inserts and you’ll save on inventory at the very least. I made it in just a few hours on my manual mill and lathe before I had CNC. With CNC, it would be even faster to make one.